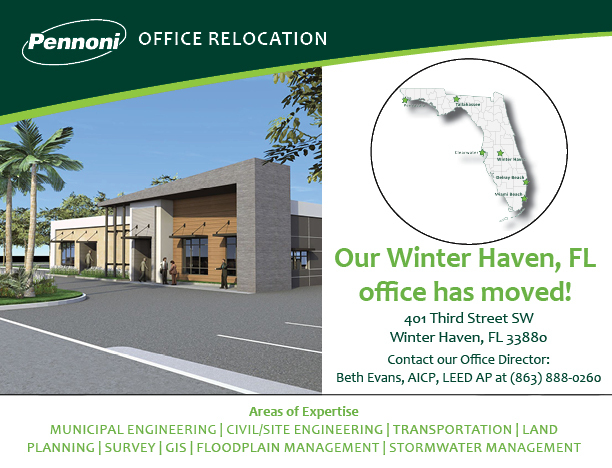 WINTER HAVEN, FL-- Pennoni, a multidisciplinary engineering, science, and design consulting firm, is pleased to announce the expansion and relocation of our Winter Haven, FL office. The firm moved from its previous location at 2105 Dundee Road to a newly renovated space at 401 Third Street SW, in Winter Haven, FL. The move took place on Friday, July 27th. Winter Haven is one of six Pennoni locations throughout the state of Florida. Office Director Beth Evans, AICP, LEED AP, had this to say about the move, “We are very excited about the move and the opportunity to establish our new office in the heart of the ongoing downtown renaissance. It’s the place to be!” Third Street, as many Winter Haven residents know, has long been a location of economic growth and downtown bustle; and the renewed synergy south of Central Avenue continues with multiple retail, art gallery, and entertainment spot openings, as well as the new South-Central Park and pedestrian trail connection between Central Park and the Third Street Trail. 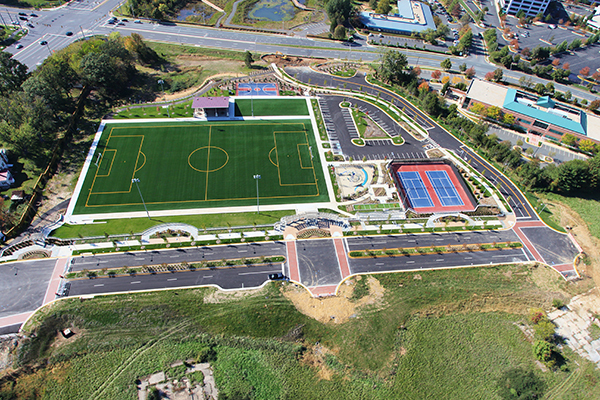 Our Winter Haven office specializes in the following services: municipal engineering, civil/site engineering, transportation, land planning, survey, GIS, floodplain management, and stormwater management. Contact Office Director Beth Evans with any questions at (863) 888-0260.